Home / Games / Construction Simulator 3: Construction goes Europe! Construction Simulator 3 (MOD Unlimited Money) – When I look at tall buildings with great architecture, I often feel impressed with those who built it. They are real artists with bricks, stones, and cement, creating great works. This game is for those who love construction work and have a dream of owning a construction company of their own. In the game, you will be responsible for the entire process of building buildings, roads, and factories for a small town in Europe. It is not easy, it requires a good manager and has the right strategies for the company. 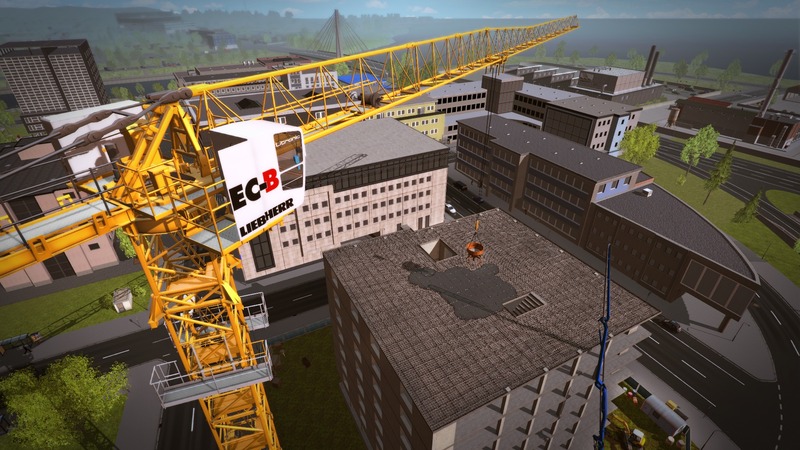 Construction Simulator 3 is a sequel to the construction simulation game series released by Astragon – a company specializing in simulation software of Germany. In fact, this is the mobile version of the PC game named Construction Simulator (Bau-Simulator) released in 2015. Part 3 marks the return of the most successful simulation game on mobile, it is also a major upgrade version of its predecessor. When starting with Construction Simulator 3, you are the owner of a small construction company with the ambition to expand your company. Initially, you don’t have a lot of infrastructure and tools. At this time, small and medium-sized contracts are suitable for the development of the company. Doing your good well will help you gain the trust of customers and businesses, thereby bringing in bigger construction contracts. Currently, Construction Simulator 3 has more than 70 contracts of various sizes, from roads, houses to large projects such as a factory or a skyscraper. When you bid successfully, go to work with one of your cars, complete the job and get money. One of the points that help Construction Simulator 3 attract players is the vehicle system. 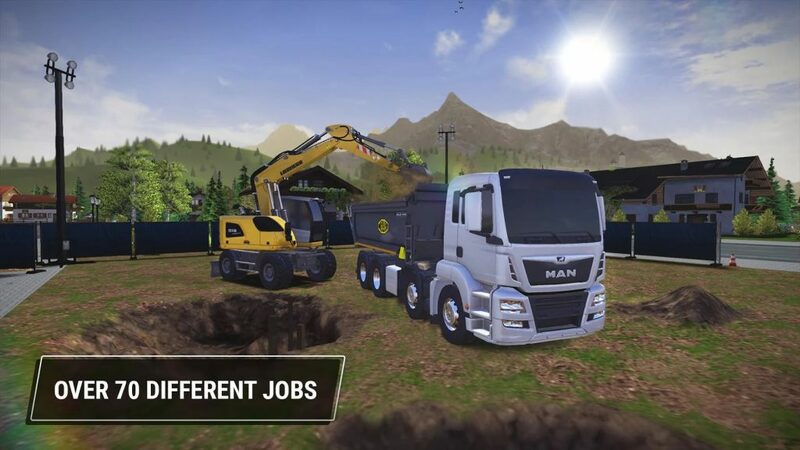 The game has more than 50 types of trucks, excavators, cranes, … of 14 brands of real-life transport vehicles including Caterpillar, MEILLER Kipper CASE, Bobcat, Palfinger, Bell, BOMAG, STILL, Wirtgen GmbH, Joseph Vögele AG, Hamm AG, MAN, ATLAS and Liebherr. 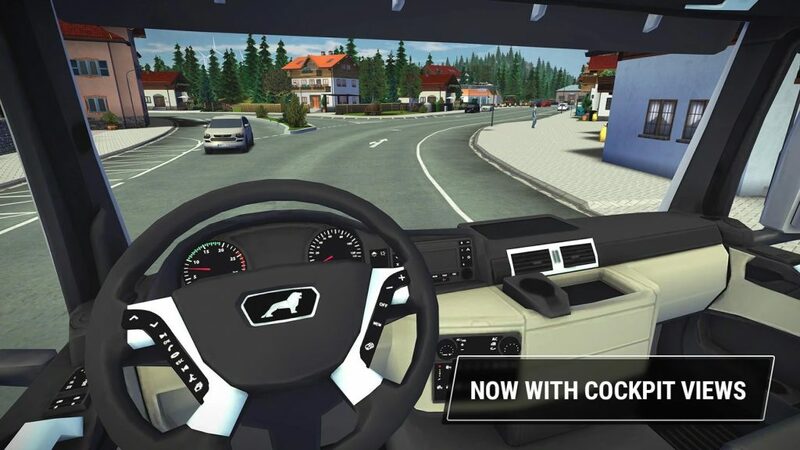 Not only work and work, when playing Construction Simulator 3, but you also have the opportunity to explore the idyllic town on the foot of the Alps by the view of the cockpit. When you’re free, watching the town through the truck’s glass door, listening to classical music on the radio is a relaxing experience for everyone. This feature reminds me of Truck Simulator 2018. If you like to explore Europe through the prism of a truck driver, this game is not a bad idea. Graphics are one of the best elements of Construction Simulator 3. The town at the foot of the Alps is beautifully simulated with a map of 10×10 km wide. The scenery, the buildings, the cars are extremely realistic, no less than PC games. Building in Construction Simulator 3 is extremely simple. You don’t need to know complicated processes or construction industry statistics. Just drag and drop the materials into the right place and enjoy the fun and entertainment that the game gives you. Travel, build, business, manage, attract customers, relax, … There are many reasons for you to play Construction Simulator 3 MOD APK. Building is a difficult job, but the game makes this work extremely simple and interesting. 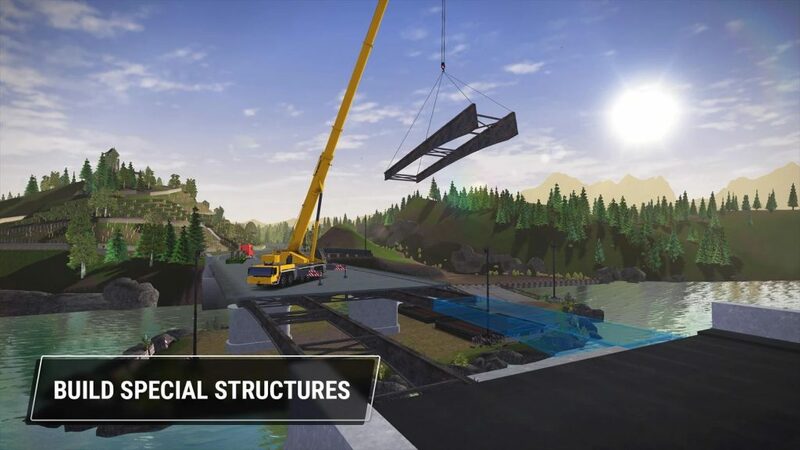 Construction Simulator 3 MOD APK is ready to download! 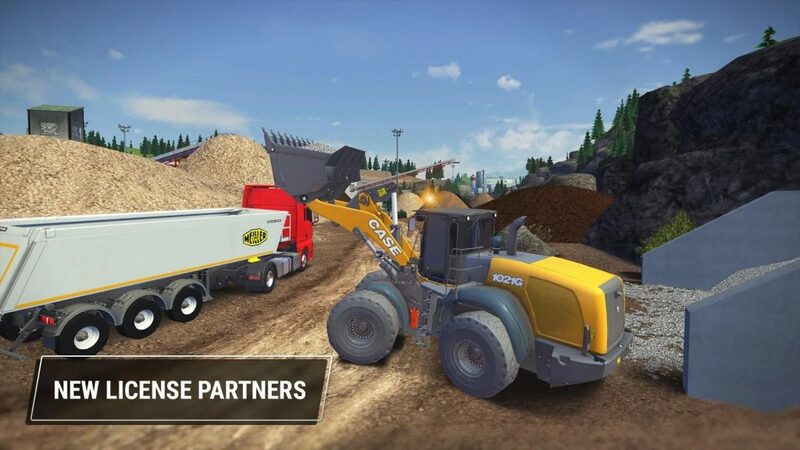 Depending on your needs, you can download Construction Simulator 3 MOD APK or Construction Simulator 3 Original APK. Or install from Google Play / App Store if you want.